Vintage Norton Motorcycles: Just another CS1? -SG- The other day I came across a 1979 copy of Motorcycle Sport containing a BMS advert for some of his then new publications. He used a photograph of the late John Griffith's 1928 CS1 accompanied of course by some appropriate text, to promote his new book 'Cammy Nortons.' Certainly it's a tidy example though fitted with a 7 inch front brake instead of the usual 8 inch Enfield type (of which more later). 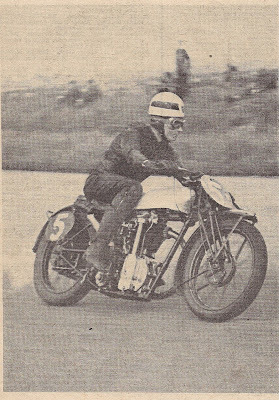 I have it on good authority that this machine previously belonged to the late Arthur Horn and it was raced to good effect in Vintage events in the early sixties, ridden by John Hurlstone. 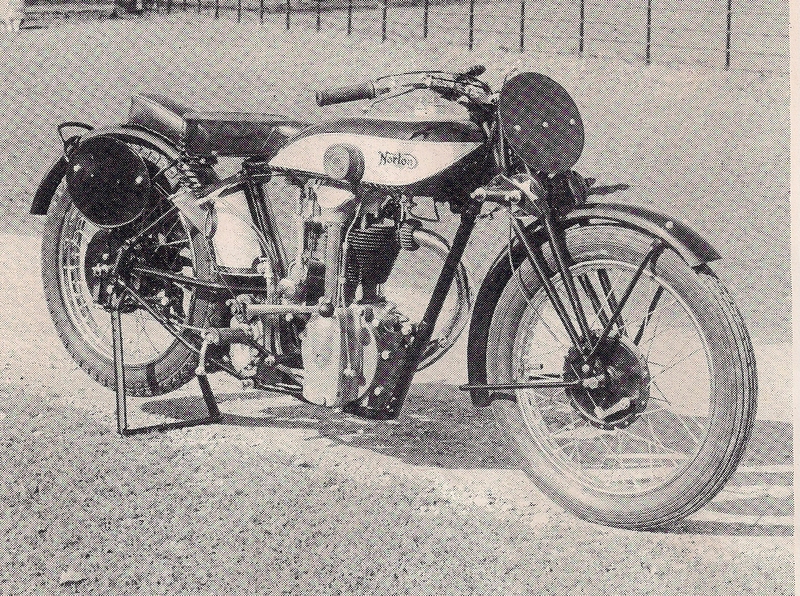 It was featured in Griffith's Motor Cycling article 'Built for Speed Number 45.' He mentions that Stan Johnson had built up the engine and gearbox for Arthur which was probably the reason it performed so well - and on petrol at that. 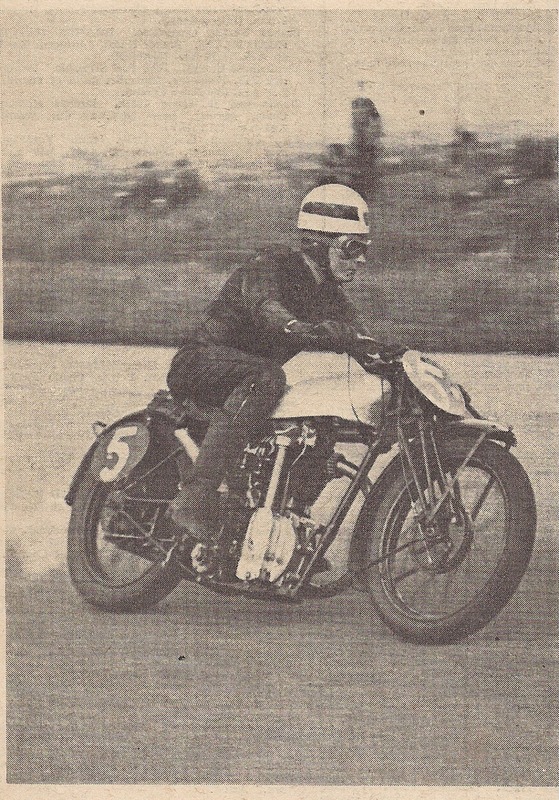 A couple of scans show it in action and also, with tank removed, wearing a twin float Binks carburettor. I was on good terms with Stan and he told me that Arthur had complained the bike vibrated like crazy and did not go as fast as he expected. Hence asking Stan to 'sort it'. Stan found the cause of the problem quite quickly - the crankcase mouth sloped from one side to the other by 0.010"! Makes one wonder how that got through Quality Control! Anyway, an after hours session in the tool room at Stan's place of work (Hoovers, Perivale) soon had it corrected and the results of his labours resulted in a return to the performance it should have had. 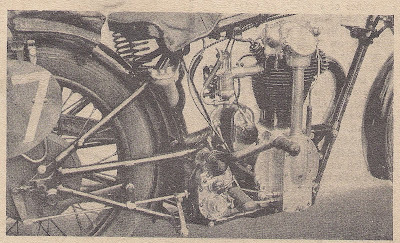 And that front brake? When JPG bought it from Arthur, John wanted to know where the 8 inch front brake was and also the twin float Binks, only to be told by Stan that they belonged to him personally and not Arthur, so he had naturally kept them ... Where this CS1 is now, I have no idea!